Sale Fell is one of the lesser known fells, but it’s right on our doorstep here and we can tell you that it’s well worth exploring time and time again. 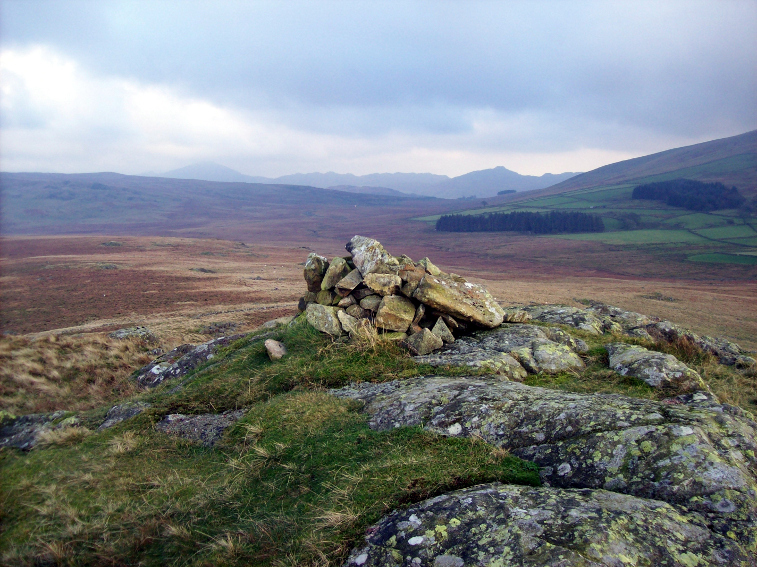 At 359 metres, it’s quite a small fell, making it great for little legs, but offers stunning views at the summit that belie its relatively small stature. Venture up to the top and you’ll be rewarded with superb views over Bassenthwaite Lake towards the Skiddaw range, and beyond the Solway Firth to Scotland. For relatively modest effort, you’ll get a rich reward. Another smaller fell that punches well above its weight in terms of views is Low Rigg – and as an added bonus it can be accessed via the stunning Neolithic Castlerigg Stone Circle, which dates back over 5,000 years. Start your walk from the Circle itself, with its panoramic backdrop of Helvellyn and High Seat, following the lanes from the car park, and head towards Tewart Tarn. This tarn is a wonderfully peaceful space to take a quick break, with the surrounding fells reflected in the still water on a clear day. Heading left from the tarn, towards the Helvellyn range, will take you towards Low Rigg. This path can get boggy, so is best approached in the summer months, but it’s a fairly straightforward walk even with children, and once you reach the summit you’ll be rewarded with a stunning panoramic vista of Skiddaw, Blencathra, Threkeld Common, Whinlatter and the Helvellyn range. Even with young children this walk will only take you about two hours, but you’ll still take in gorgeous woodlands, a lakeside stroll, and delightful views. Taking in the tranquil Brandelhow parkland, the paths are well maintained, so an all-terrain pushchair should be able to handle the walk easily. You can start out with the Keswick Launch steamer to High Brandelow, or alternatively park on the roadside and head through the woodland towards to shore of Derwentwater – in late spring the woods will be filled with bluebells. 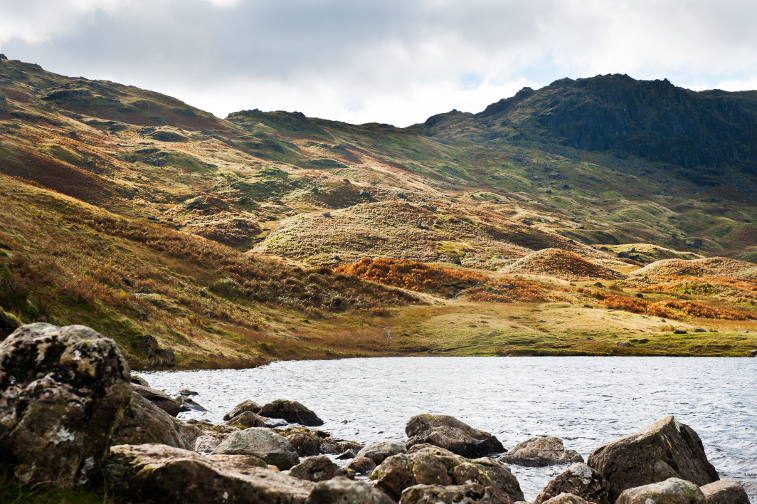 Starting from the famous village of Grasmere, this gradual but satisfying walk winds up into the hills towards the peaceful glacial Easedale Tarn, the perfect spot for a picnic. Set in a hanging valley, surrounded by fells on all sides, this picturesque location is well worth making the effort of what is, at around six miles, one of the longer walks on this list. The route up to the tarn is mainly well marked paths, but they can be rocky and stepped, so not too suitable for pushchairs, but for children aged 5+ this is a great walk that shows all the Lakes have to offer, even without a peak to summit. This walk is much more easily accessible for pushchairs, starting out at White Moss Common, which is part of the Miles without Stiles routes aimed at increasing wheelchair accessibility in the Lake District. There are actually a few different directions you could take from this starting point, including heading towards Loughrigg Terrace, but for a memorable experience with the kids head instead in the other direction towards Rydal Water and Cave. 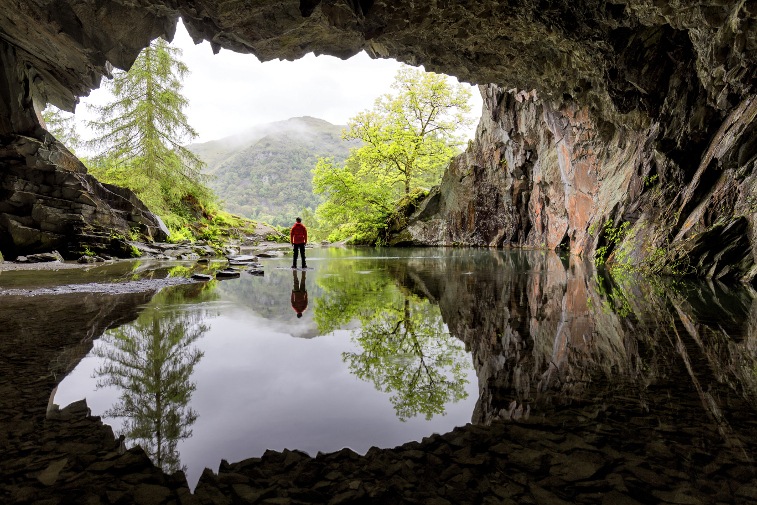 The shoreline walk along Rydal Water is itself a wonderful family-friendly experience, but it’s the cave that makes this particularly worthwhile. After exploring and creating echoes you can take a path back towards White Moss, or alternatively wander down towards Grasmere lakeshore. One of the smallest fells in the Lake District, and one of the easiest walks, but some of the best views in the entire World Heritage Site. 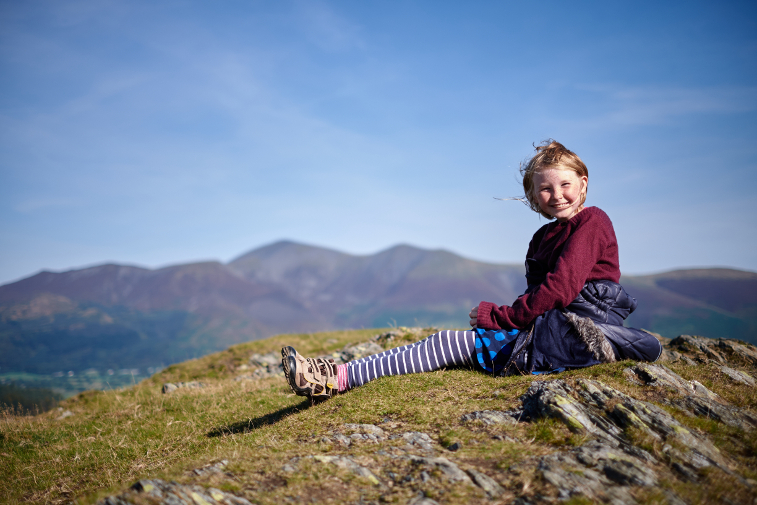 Latrigg is easily accessible from the centre of Keswick – just 8 miles from our park – and is the perfect introduction to the fells to little ones. 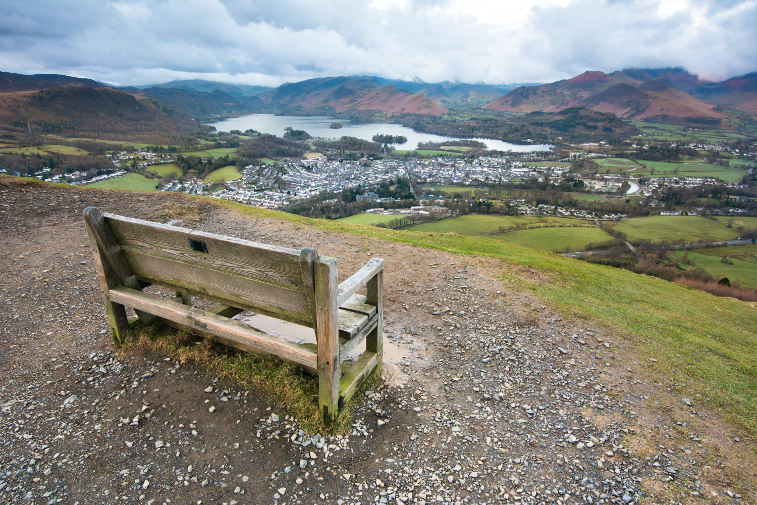 The path can be steep in some places, but you should make it to the summit fairly quickly, and once you do you’re rewarded with some outstanding views across Keswick and Derwentwater, and to the West of Bassenthwaite Lake, with the mighty Skiddaw range to the North. Taking in the Ravenglass and Eskdale Railway is a must for families visiting the Lake District, and there are some good walks to explore once you get off ‘T’Laal Ratty’. One such walk can be found at Eskdale Green, with its Japanese Garden, pretty woodland and views of the fells. A slightly more strenuous walk can be found by hopping back onto the train and heading to the Western edge of the Lake District, and tackling Muncaster Fell from Ravenglass, on the coast – a different take on the classic Lake District experience. 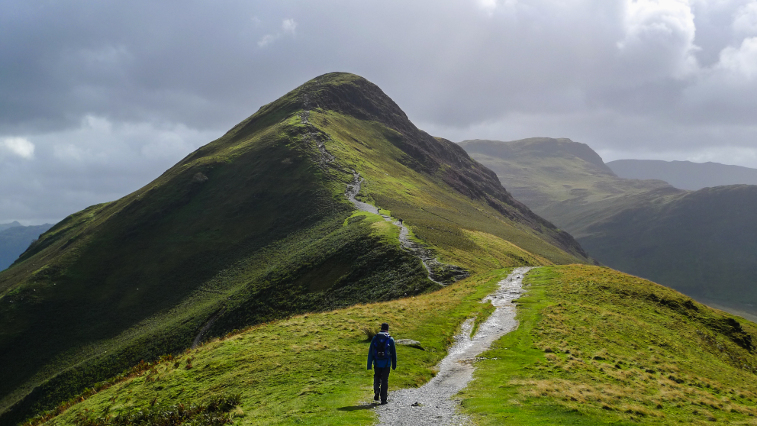 Described by Wainwright as a “family fell where grandmothers and infants can climb the heights together”, Catbells is one of the most iconic and popular fells in the Lake District, and an obvious inclusion on this list. There are still some harder, scrambly bits, but this is one of the best introductions to the Lake District, with stunning views of the lakes, valleys and surrounding mountains, and a tricky but rewarding climb. You can even approach via a steamer from the Keswick Launch, sailing across to the Hawse End jetty, for an unforgettable day that takes in everything the Lake District has to offer. Whinlatter Forest, just 7 miles from Herdwick Croft Caravan Park, is a fantastic family destination brimming with walking possibilities. Of the many walking and biking trails, we particularly like the Seat How summit trail, which takes in spectacular views of both Derwentwater and Bassenthwaite Lake, with glimpses of the Skiddaw and Helvellyn mountain ranges through the trees as you make your ascent. The path is clearly marked from the visitor centre, just follow the green waymarkers, and there are plenty of benches to stop and take a rest as you climb up to 500m through the forest and heather moorland. Once you reach the summit, you’ll be rewarded with spectacular views of the surrounding fells. Mirehouse and Gardens, situated along the shores of Bassenthwaite Lake, offers walks galore through its gardens and woods. There is a family nature trail, a pine wood trail, open parkland, lakeside walks, and, should the kids still have energy left over, four different adventure play areas. 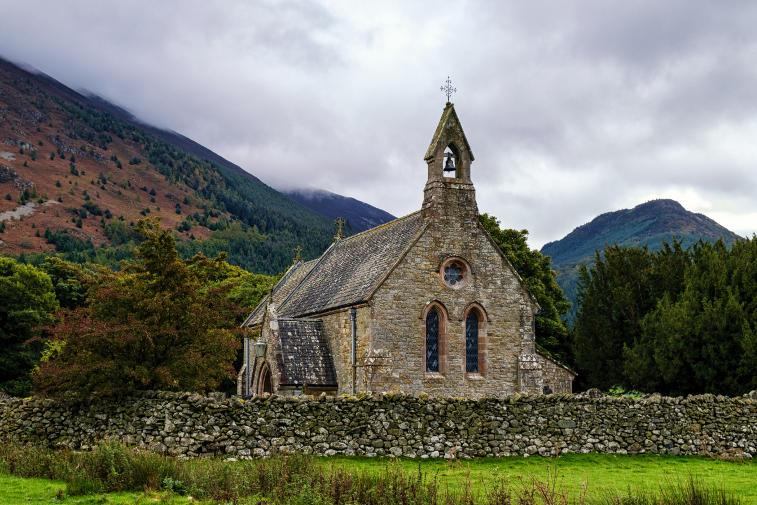 The estate makes for a great starting point for a family friendly walk, skirting the shore of Bassenthwaite Lake, past St. Bega’s church and through Dodd Wood, where you can visit an osprey viewpoint. There are also a number of local fells that form part of the estate, including Ullock Pike, Lonscale Fell and Dodd itself. 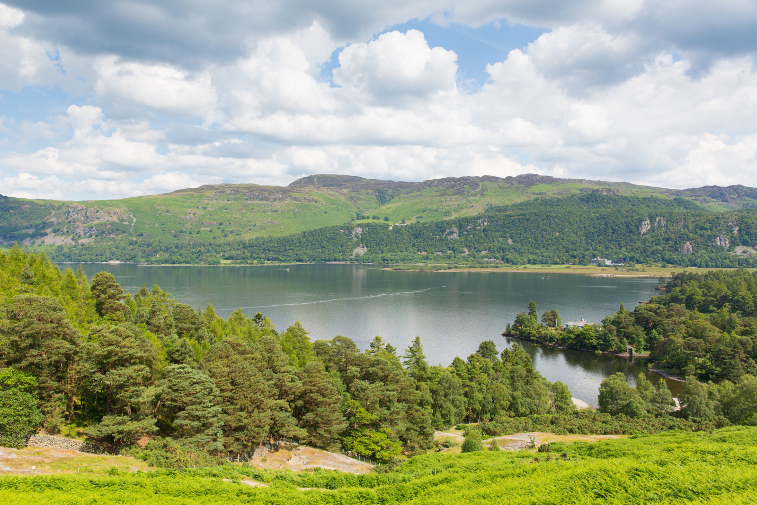 We hope you’ve found some walking inspiration for your next family holiday to the Lake District. We’d love to welcome you and your family to our caravan and holiday park set on the shores of beautiful Bassenthwaite Lake – so many of these walks are right on our doorstep. Click here to view our facilities and book online. We also have a luxurious holiday cottage that sleeps up to 8 people, find out more here.